Compatibility patch for exterior lighting mods. 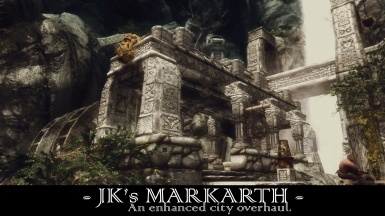 Disables lights (lanterns, candles, horn candles, wall torches, braziers) and light markers added by JK's Skyrim. The patch effectively sets the lighting back to vanilla. Main file is still required. 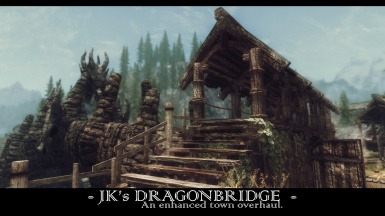 Compatibility patches for Arthmoor's Bring Out Your Dead, Cutting Room Floor, Dawnstar, Dragon Bridge, Falkreath, Ivarstead, Oblivion Gates, Rorikstead and Storefront. Individual and merged options in a FOMOD installer. Patch notes in the download. 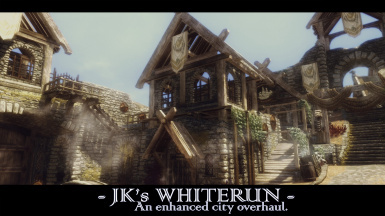 Better City Entrances patch to remove conflicting clutter around Whiterun exterior gate and inside exterior gatehouse. File is .esp / ESL flagged and won't take up a spot in your load order. Compatibility patch for Better Docks. 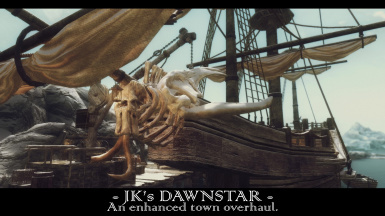 Removes conflicting docks in Dawnstar and changes the Better Docks docks to the same snowy style used by JKS. File is .esp / ESL flagged and won't take up a spot in your load order. 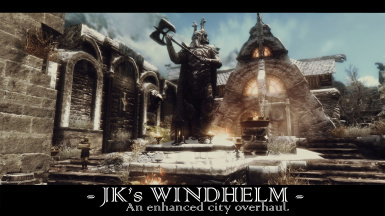 Compatibility patch for JK's Skyrim SE and Blowing in the Wind. Adds Blowing in the Wind movable lanterns and signs to JK's Skyrim. Patch notes in the download. Full credit to sialivi for Blowing in the Wind. .esp/ESL flagged file. Patch for Carriage and Ferry Travel Overhaul. Fixes cart clipping in Morthal and Dawnstar. 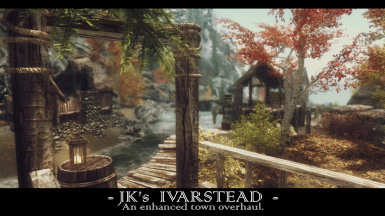 Moves the ferryman in Dawnstar, Ivarstead and Morthal to JK's docks. File is .esp/ESL Flagged. Patch notes in the download. Compatibility patch for Clockwork. Moves Dawnstar trapdoor from behind inn to next to chicken coops. Patches navmesh in Dawnstar, Falkreath & Morthal. File is .esp/ESL Flagged. Patch notes in the download. Compatibility patch for Greater Skaal Village. 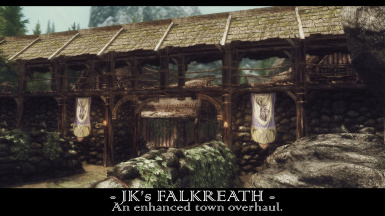 Fixes navmesh and clipping balcony behind the Greathall in Skaal Village. File is .esp/ESL Flagged. Patch notes in the download. Holidays patch to fix clipping decorations during festivities (mostly in Markarth and Riften) and add decorations to JKs buildings and structures. File is .esp / ESL flagged and won't take up a spot in your load order. Replacer esp for Immersive Laundry. Main file is still required. 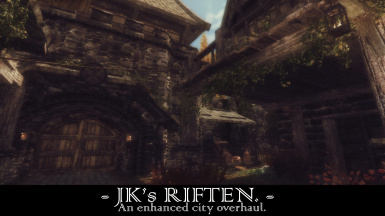 Fixes minor clipping, improved NPC pathing and adds laundry to JKS buildings and Skaal Village. Refer to notes in the download file. Full credit to nerdofprey for Immersive Laundry. Compatibility patch for Mirai. Adjusts navmesh and removes clipping objects outside Mirai's home in Markarth. File is .esp/ESL Flagged. Patch notes in the download. This is a BETA file. If you are using this file please report back any issues. Please refer to the patch notes in the download. 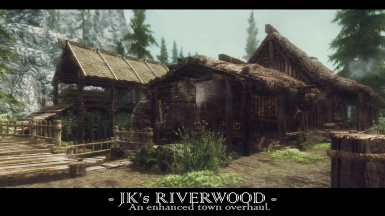 Compatibility patch for JK's Skyrim and Outlaws Refuges. 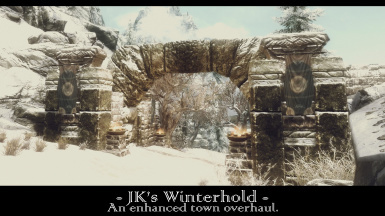 Fixes clipping to the entrances in Solitude and Winterhold. Minor adjustment to Dawnstar entrance. Patches navmesh accordingly. File is .esp/ESL Flagged. Patch notes in the download. Compatibility patch for Realistic Water Two. Fixes alignment of RWT animated water troughs at the blacksmiths in Solitude and Markarth. 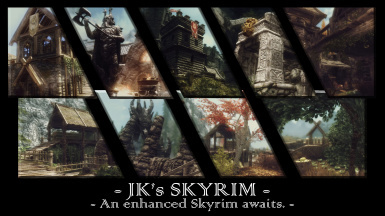 Adds RWT animated water trough to 18 locations in JKs Skyrim. File is .esp/ESL Flagged. Patch notes in the download. Compatibility patch for Thunderchild. 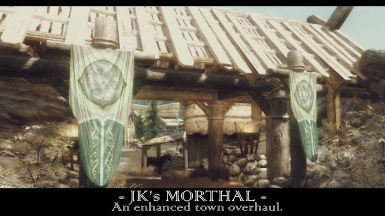 Moves the Pillar of Lightning Shield in Dawnstar 20 metres to the right so as not to conflict with a building added by JK's Skyrim. File is .esp/ESL Flagged. Patch notes in the download. 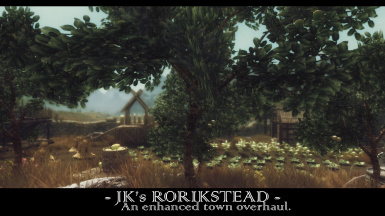 Compatibility patch for JK's Skyrim and Skyrim 3D Trees. Fixes clipping trees and hanging lanterns in Windhelm and Morthal. Adjusts position of fallen log in Rorikstead. Does not edit Skyrim 3D Trees. Patch notes in the download.